Sometimes, it’s a family affair! And how cool is that. This lovely creation was created in platinum and custom designed in collaboration with the client. And part of the beauty of the story is that family was involved……an heirloom diamond and some support from family during the decision making process. Grand-ma-ma’s diamond was lovely, however the diamond needed a bit of a re-proportioning and the task of re-cut was performed in fantastic fashion, dramatically increasing the beauty of the gem. It became the perfect center diamond! 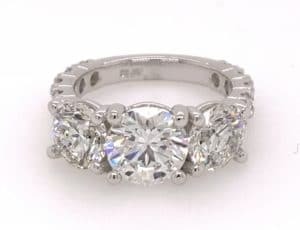 During the design consultation, discussion ensued to determine the possibility of incorporating an heirloom diamond from Mom as an accent stone on the side; or simply to dismiss that thought due to the visuals of each diamond. This is a critically important determination! 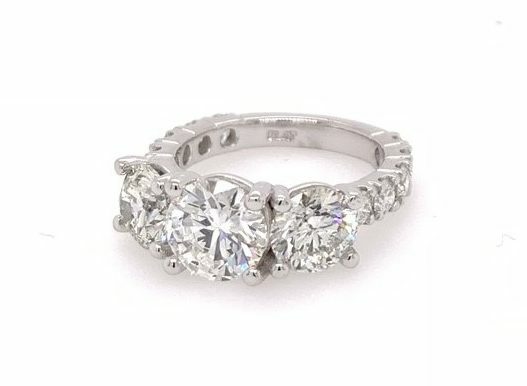 It was decided that the diamonds would interact quite nicely, and we would be able to find one more diamond to match Mom’s to balance out the ring top. Getting more fun by the minute…We brought in a few diamonds so we could sit and view them all together, side by side, to insure they complimented one another in magnificence. 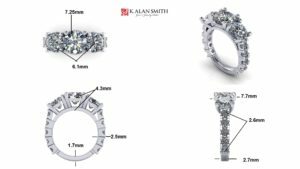 The design we created was derived after great discussion, with small (yet mighty) precision cut diamonds travelling down the ring shank. 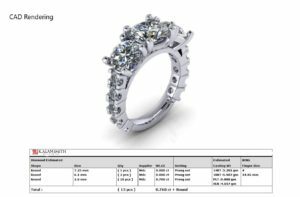 We had the ring model created via CAD design so as to obtain a great degree of exactness with the ring. 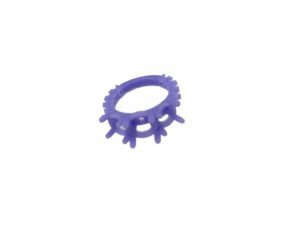 The final step before casting was to print a 3D model of the ring in wax before it was cast in precious metal. Great diamonds, great metal, in a great design! It is certainly a WOW ring. My client was an absolute delight to work with, with great decision making at every step. I am honored to have worked with him AND his family.